The temperature setting that you choose for your thermostat will have a big impact on the amount of energy that your furnace consumes. 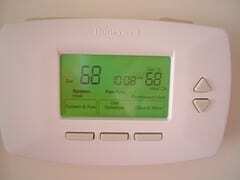 The higher your thermostat is set at, the more energy your heating system will use and the higher your gas bills will be. Today we’re going to talk about how to find the best thermostat settings for your Metro East home!